Gk rolls ball into position. 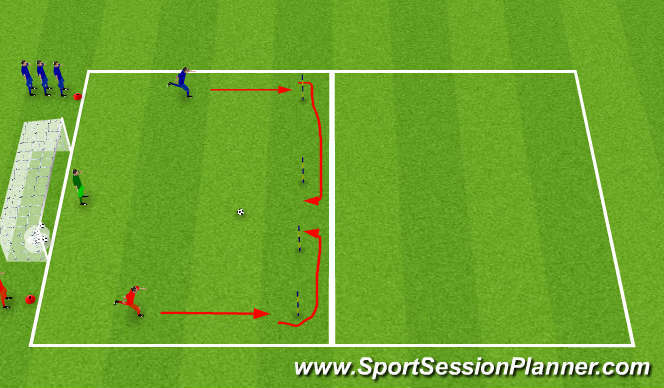 The exercise starts by initiator sprinting around far two poles, tries to score. The reactor tries to catch player and if they get the ball either through defending or off the keeper they can shoot directly on goal. Team that scores becomes initiator. Progression, can change starting positions of intiator and recator (Push-Up position).